What's The Best Property Investing Book? What's The Best Property Investing Book? What is the best property investing book? If you could only purcahse one book on property investing what should it be? What is the best property investing book? If you could only buy 1 book, just one, on investing and property, which book would it be? Hi! 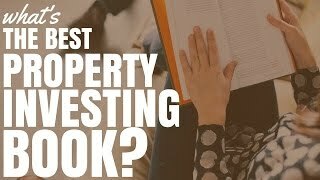 I am Ryan from onproperty.com.au, helping you find positive cash flow property and I absolutely love property investing books. In fact I started reading property investing books when I was about 14 years old. Most people are reading fiction or playing PlayStation games, I was reading property investing books and I absolutely love them. 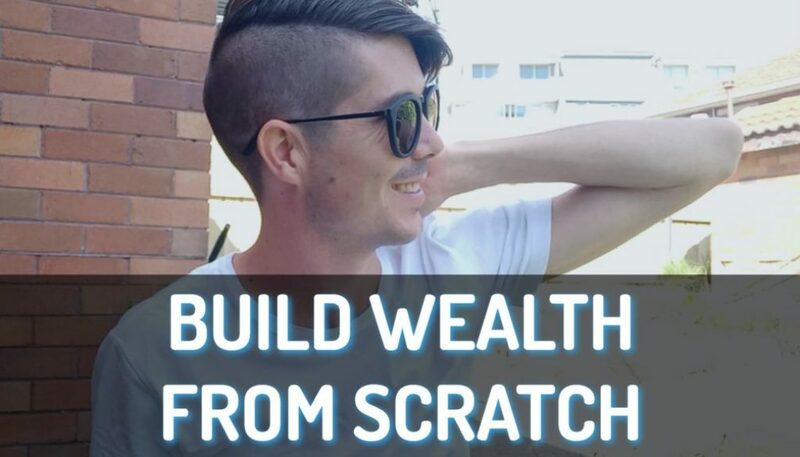 I believe that a lot of property investing books give you the value of a $3,000 or $5,000 seminar for the low price of $10 to $30, you just need to take the time to read it. What is the number 1 property book that I recommend? From 0 to 130 Properties in 3.5 Years by Steve McKnight. This book is absolutely awesome. The reason that I recommend it – and I will go into that in more detail, is because it is great for new investors and more advanced investors as well. From 0 to 130 Properties in 3.5 Years as you guessed it is about Steve McKnight’s journey – his and his investment partner, as they went from earning nothing to owning over a 130 properties in 3.5 years. This book is really great because it is very entertaining. 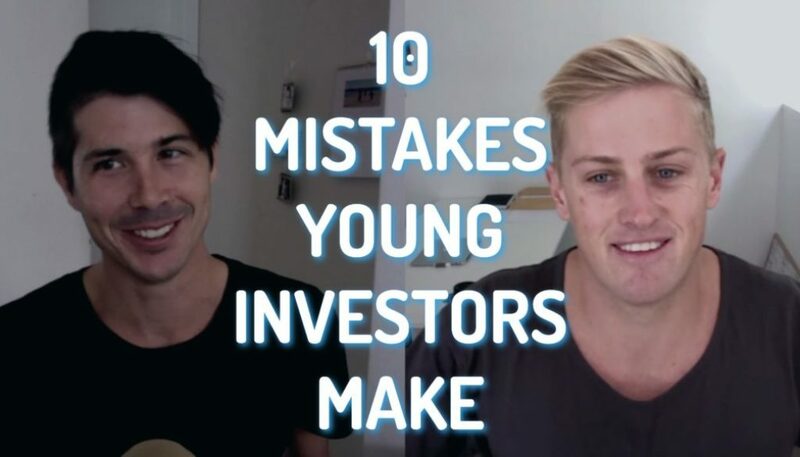 It goes through their story of exactly how they got passionate about investing in property, how they went out and started growing their portfolio, and how they grew it to such a large portfolio whereby by the end of that 3.5 years, I think they were earning over a $100,000 each from their property portfolios. Officially they are financially free in that aspect, obviously owning so many properties, with rents going up and equity going up, they would just go richer and richer over time. It is a pretty exciting book. It is very entertaining because it goes through their story. It is great because they start back at the start which is where a lot of us are starting and we want to invest in property. It is really good from that aspect. Another reason that I love this book is that as they are going through their stories they share particular deals that they have done. They look at the finance of this deal, how much the property costs, what the rental income was, what the interest rate was, what their expenses were and how that ended up being positive cash flow. They go into the nitty-gritty on these properties. You even see the pictures of the properties. 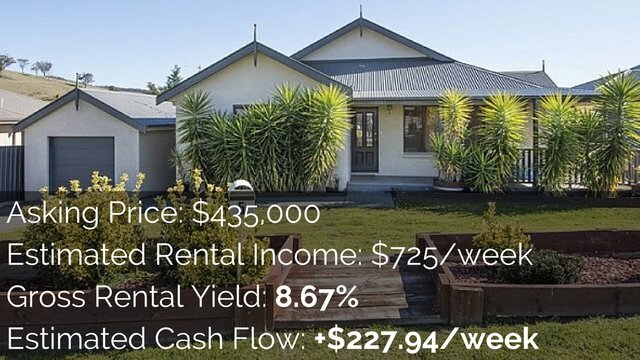 It is really cool to follow their journey but then also to see what properties they purchased and what the figures were around those properties so it really gives you a good idea of doing your finances and doing your cash flow analysis around properties as you are investing. I really like that they tied that into it because that just made it more valuable to read. 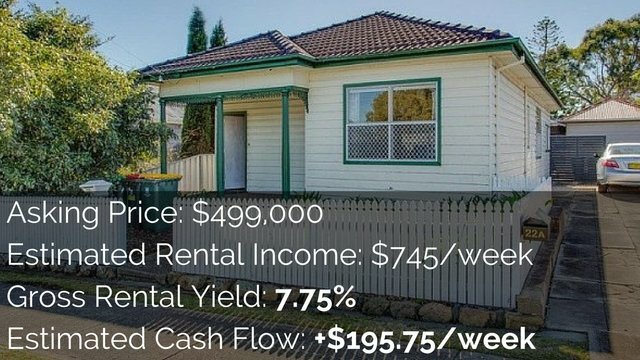 And if you guys want to have analyze the cash flow as Steve McKnight does in his book, check out propertybooks.com.au. That is my shameless plug right there. Another thing that this book does, rather than just telling their journey and that is it, they were also going through the fundamentals of finance and investing in property. Things like spending less than you earn, budgeting and saving a deposit. He goes into detail about some of these sorts of things to help get you into the right mindset to invest in property. And it then also goes through some more advanced property deals and property strategies like wraps or own-a-financing where you buy a property and then you sell it to someone without receiving cash. You kind of provide them with a loan and they pay you and it is called a wrap. Anyway, they go into detail about all these different investment strategies as well. From 0 to 130 Properties has been revised. It is quite an old book but it has been updated and still extremely valuable and still my number 1 recommend. If you want to check out that revised version, go to onproperty.com.au/130 or 1-3-0 and that will redirect you to fishpond.com which is an Australian book sell where you can go ahead and buy the book. That is an affiliate link but you will not pay any more money for that book over there. So that is where I recommend you buy it. That is the book that I recommend that you get into if you have not read a property investment book or you are looking for a good one to read. From 0 to 130 Properties in 3.5 Years by Steve McKnight is an awesome book. I am going to throw in a second one just in case you have read that and you want something else. It is not actually a property investing book. 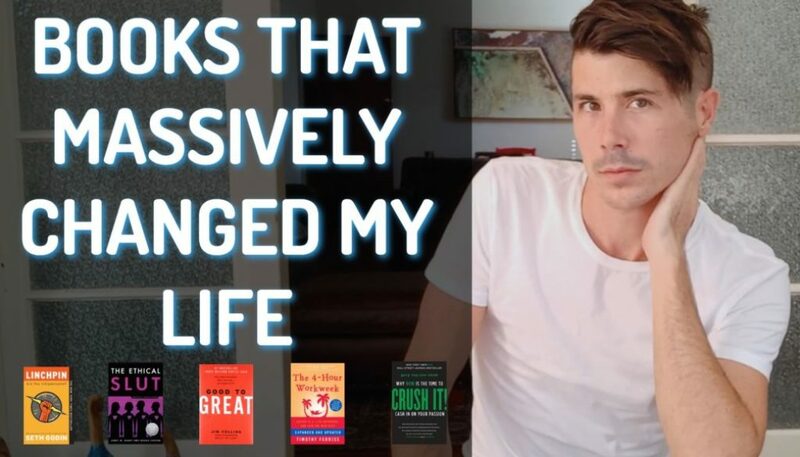 Ryan what are you doing recommending a non-property investing book for property investors? Should you not only recommend books that talk about property investing and strategy? Well, no. I believe that it is very important to understand the financials, to understand the fundamentals of money and how money works. So when you go out and you are looking at properties and when you are looking at different investment strategies, you actually have this base knowledge of understanding of how money works and how investing works and where you want to be financially. That allows you to assess the market so much better because you know what you are looking for and what you are trying to achieve. The second book that I recommend is called The Cash Flow Quadrant by Robert Kiyosaki who you guys may know as the author of Rich Dad, Poor Dad which is a really popular personal finance book. The Cash Flow is just awesome because it teaches you different way to make money and yes, there are different ways to make money. It talks about working as an employee or self-employed person, trading your dollars for hours or working in order to get investment income and passive income from properties or stock markets or from business. It talks about the different ways people make money. It talks about the differences people who are middle class and people who are rich and different ways they think about money. It gives you such a solid foundation of how to invest and where you want to end up financially. Cash Flow Quadrant by Robert Kiyosaki, awesome book. You should definitely get yourself into it. That is on onproperty.com.au/cashflowquadrant, all 1 word. That again will take you to Fishpond through my affiliate link. So you can check that out over there. Those are the 2 books that I recommend. The number 1 best property investing book is From 0 to 130 Properties in 3.5 Years by Steve McKnight. And the second one is The Cash Flow Quadrant by Robert Kiyosaki. One of the problems that I found with these books, with a lot of property investing really is that they do not actually help you take the next steps towards investing in property. 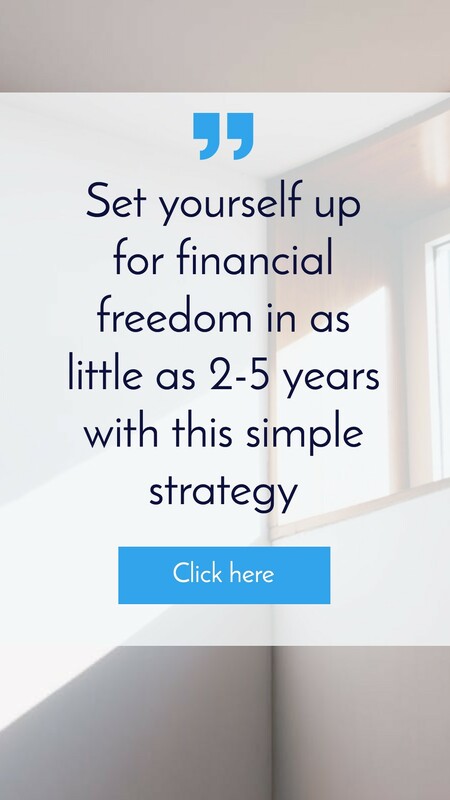 They give you this big overarching vision of how to invest in property or the strategy or advance tactics or they talk about fundamentals but then they do not really say, Well, where are you in your property journey and how can you take the next step? Most of them then will lead you into training courses or coaching courses that will cost you $5,000 to $10,000 which I am guessing not all of you want to go into. I find that that is a real issue in these property investing books, great information, seminar packed into a book but does not actually help you take the next steps towards investing in property. What I have done is I have gone out and I have actually created some eBooks that are really dedicated to helping you guys understand where you are in the property journey and to take small incremental steps that slowly push you out of your comfort zone and help you become a more confident investor and help move you closer to your goal of purchasing investment property and building your portfolio. So I have created then the only available eBook format at the moment and I am considering printing them but we will us see how that goes down the line but I have ones like The Essential Guide To Buying Your First Property where I go through all the steps in the buying process so you can see what step you are up to and you can see where the next step is and you can work towards taking that next step. I also have The 30-day Property Journey which goes through daily activities you can do to become more confident in the real estate market and to move you closer towards your investing goals and these eBooks start from 99 cents, really low-priced eBooks just to help move you incrementally towards your goal of investing in property. So if that sounds like something that you might be interested in, go to onproperty.com.au/ebooks. Otherwise if you want to check out Steve McKnight’s book or the other books that I recommend, you can go to onproperty.com.au/books. So that is ebooks for the eBooks I wrote and then there is books for the books that I recommend that are out there. I hope that this has helped answer your question, what is the best property investing book. Obviously this is my opinion. You may have a different opinion but I hope you have taken something away from this and you know books that you know you can get to move you closer towards your dream of financial freedom through investing in property. I am Ryan Mclean, until next time. Stay positive.